One of many exciting advancements in the educational opportunities offered at MSU Tollgate is the introduction of new technology to our repertoire, enhancing the ability to collaborate with schools even from a distance. 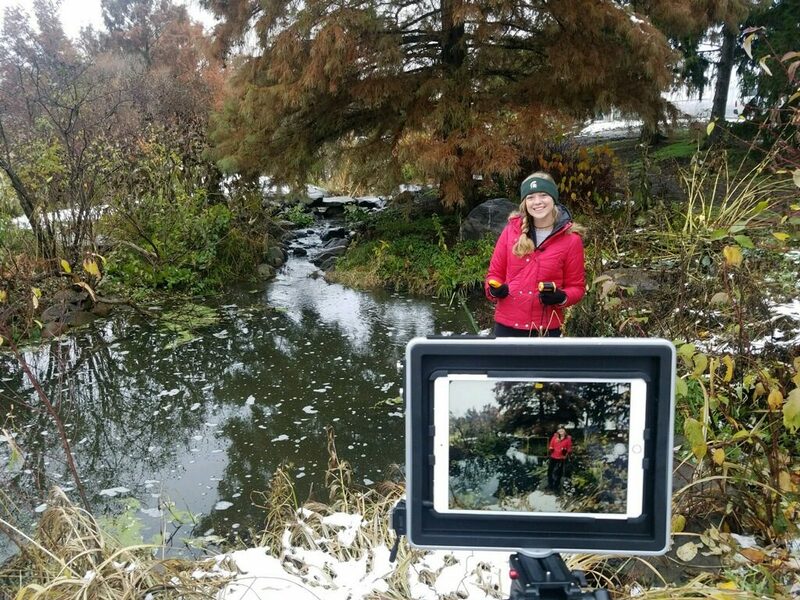 Thanks to the Emerging Issues Grant from the MSU Extension directors office, Tollgate has purchased new equipment including an iPad, PadCaster, and corresponding audio/visual tools to enable us to film on the farm and be broadcast live to the classroom with the use of the ZOOM application. We are launching this new virtual program as part of Collaborating Classrooms with Lanigan Elementary, through which we visit with the students several times during the school year to expand upon their learning experiences at the farm. This fall, Tollgate education staff has been working with Lanigan’s 1st Graders to facilitate weather investigations in alignment with their curriculum (read more here). The students also helped to create and place rain gauges in multiple locations around the farm, and we will now be able to share their final rainfall results. The final element of this program will involve us ‘broadcasting’ live from the farm and reporting weather data, allowing the students to follow along with us as we gather these measurements. We are grateful for the opportunity to extend our experiences with these students, and we look forward to continue incorporating this new technology as our programs grow in the years to come.